We've been on quite the upward trend with the monthly "Credit Union Trends Report" from our chief economist, Steve Rick. In fact, according to recent numbers, the credit union industry has seen a 10.2% increase in loan balances in the past year alone - that's the highest levels since February of 2006. 1. Vehicle lending was "red hot" this summer. 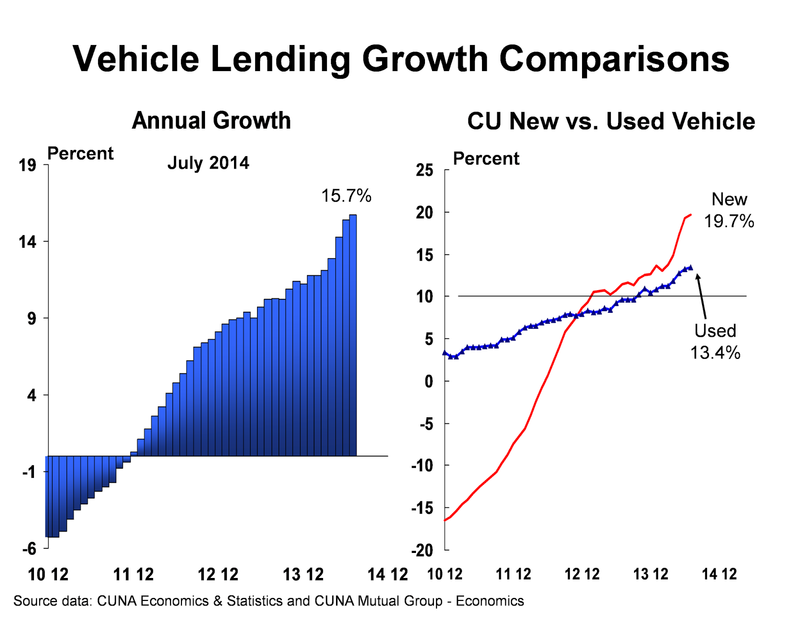 So hot that "overall credit union loan growth is more affected by used auto loan growth than new auto loan growth." 2. Pressure point, secured lending. First mortgages were down 33% in the 2nd quarter this year compared to the same quarter in 2013. Rick says, "this has lowered non-interest income and put downward pressure on credit unions' bottom line." 3. Membership boom continues! CU membership is up 2.1 million year-to-date. According to Rick, that's a 17% faster pace compared to the similar period in 2013. 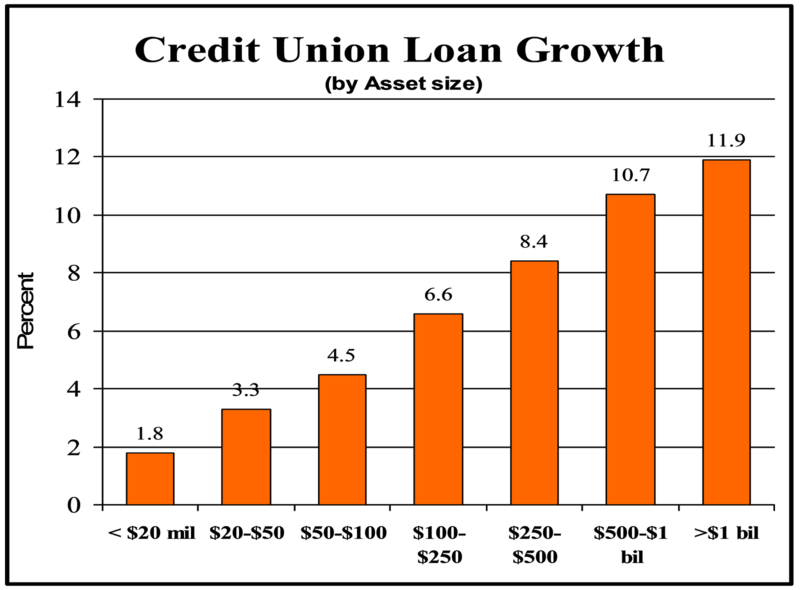 Rick says "membership growth is highly correlated to asset size." Want to hear more from Steve Rick? Check out our short CU Trends video overview.